Hi there. my darlings! First of all...ACK! Guess who was supposed to be up last night swatching these polishes but instead fell fast asleep at 6 pm? *sheepish look* But all is not lost! I managed to swatch these three pretties from ALIQUID Lacquer before the end of the Friend-an-Indie-Friday event she's sponsoring! Phew! Close call! Before we get to swatches, I'd like to mention that Alicia has hand-picked these three to be her favorite creations! If you love polish as much as I do, you know how hard it is to pick just three favorites and it must be doubly more difficult if you're a maker asked to pick your favorite creations! But pick she did and it's my great pleasure to show you the three that has a special place in Alicia's heart! First, I have for you Gargoyle--a medium grey creme with white flakes and smaller gunmetal, gold and copper flecks. Lovely, smooth formula and this applied beautifully--the swatches below show 3 thin coats topped with 1 generous coat of G&G's HK Girl. Such a pretty, delicate gray! 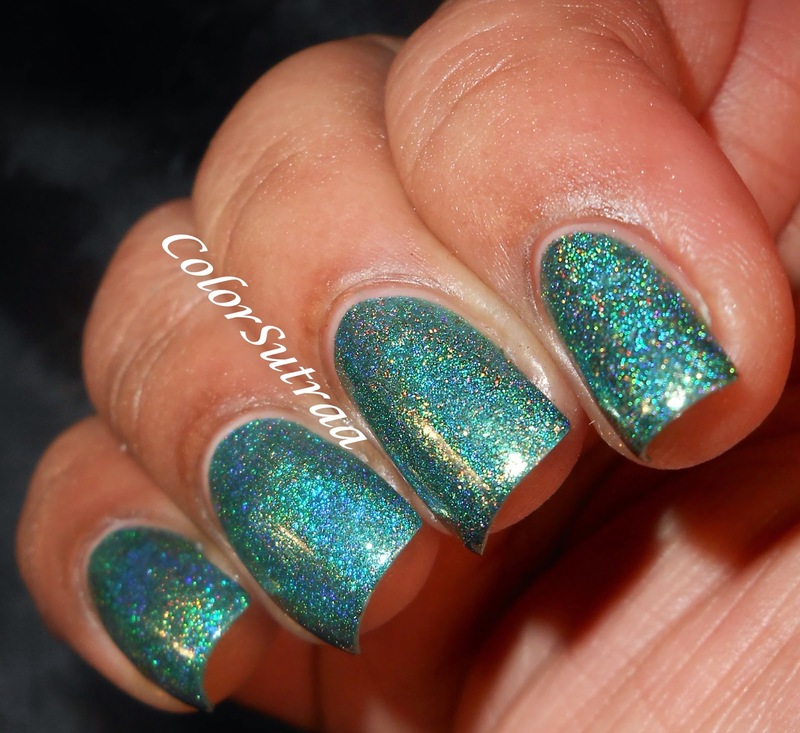 Next, I have for you Hidden City--a forest green linear holographic polish with gold, copper and bronze flecks. Again, no complaints with formula or application and the swatches below show 2 generous coats by itself. For some reason, my camera captured this as more blue than it really is but this a true, rich green! And the flecks are gorgeous! 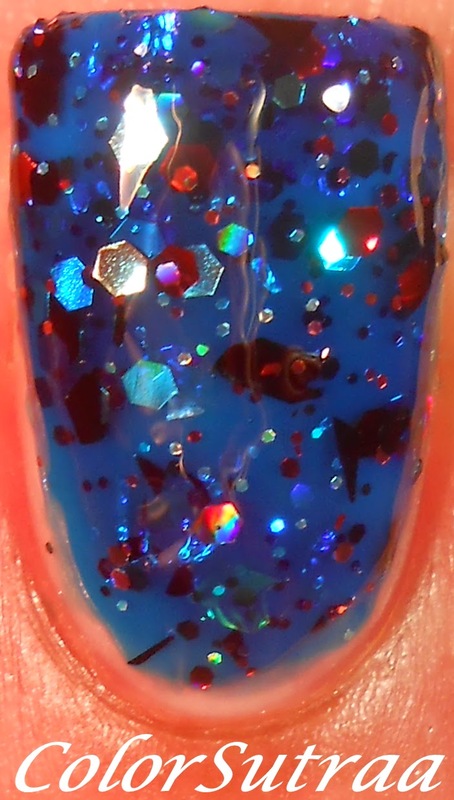 Last but definitely not the least, my personal favorite, Devouring Wave--a blue jelly polish with a variety of metallic, holographic and iridescent hexes and shards in black, red, blue, silver and purple. Great formula and application though the brush in my mini bottle was a little troublesome. The swatches show 3 thin coats topped with 2 generous coats of G&G's HK Girl. SO gorgeous! So there you have it, my darlings! 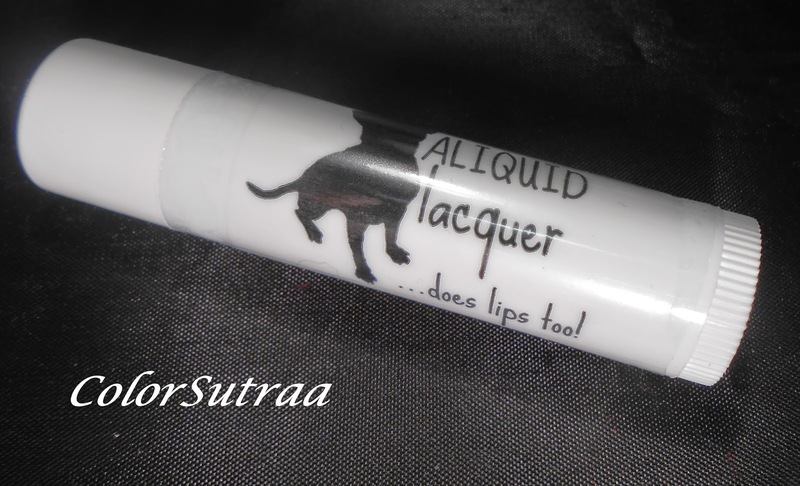 My review of ALIQUID Lacquer! 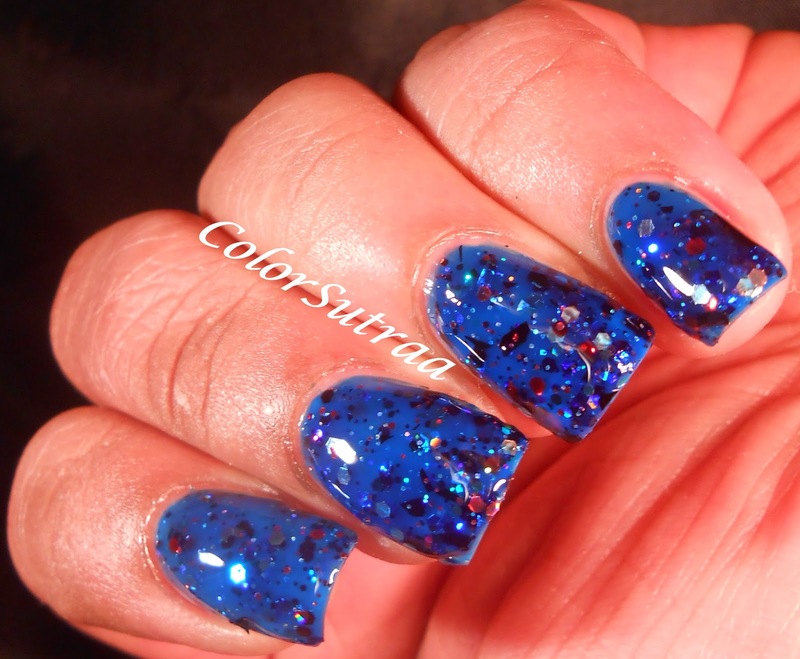 You can pick up any of these beauties HERE for the price of $9 for a full-size, 15 mL bottle (holos are $10). 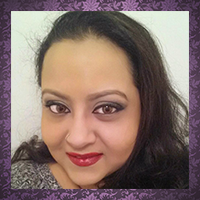 Remember to follow ALIQUID Lacquer on FACEBOOK and on INSTAGRAM to see previews of all her other beauties and for the latest updates! If win, would any of these three be YOUR choice? Tell me all about it in the comments section below! Devouring Wave is super gorg!!! !